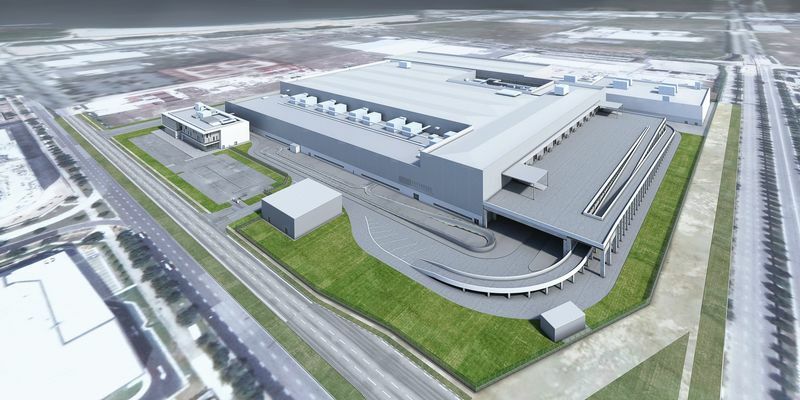 Dyson confirms two-storey manufacturing facility to be completed in 2020, ahead of production commencing. Dyson's new electric car is edging closer to production, with the company confirming a new manufacturing facility will be built in Singapore and finished by 2020. The purpose-built two-storey plant is part of a £2.5 billion investment in the electric car project, with the production model set to be launched in 2021. The announcement follows the unveiling of its proving ground at Hullavington Airfield, Wiltshire, which includes test tracks, motorway-like surfaces, high-speed strips and an off-road course. The decision to base the plant in Singapore is partly influenced by Dyson already having a strong foothold there, employing 1100 people at a facility that designs and builds the high-speed digital motors used in the firm's vacuum cleaners and hand dryers. In a letter to Dyson employees, CEO Jim Rowan said: "Singapore also offers access to high-growth markets as well as an extensive supply chain and a highly skilled workforce. Singapore has a comparatively high cost base, but also great technology expertise and focus. It is therefore the right place to make high-quality technology-loaded machines, and the right place to make our electric vehicle." Dyson initially made its vacuum cleaners and washing machines in Wiltshire but transferred production to Malaysia in 2002 and, in 2004, opened a manufacturing plant in the country in a joint venture with a Singapore-based investment group. In 2013, Dyson opened its digital motor plant in Tuas, Singapore, which has since been significantly expanded. Having a supply network in the region will give it a head start in ramping up production for its first electric car. 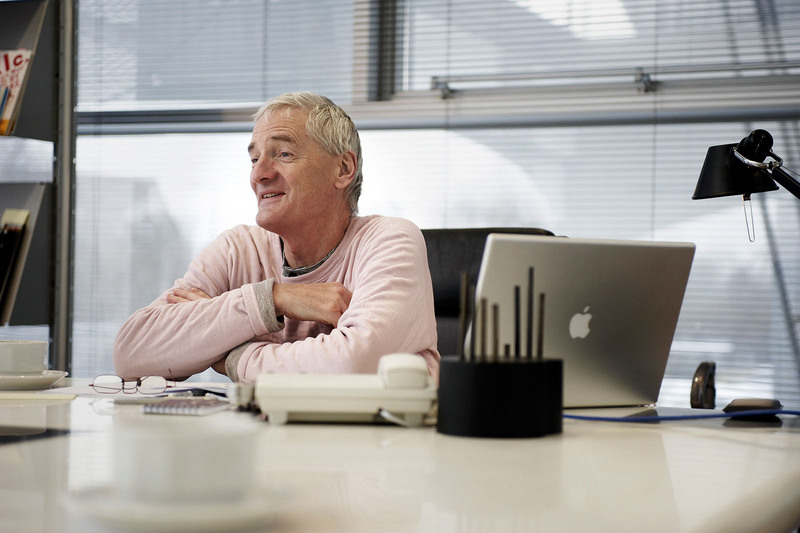 Dyson's long-term automotive plans suggest a diverse range of electric cars will eventually be produced. We already know there will be a three-car line-up, with an SUV almost a certainty, on top of the high-end model already mooted. A sports car will not be part of the range, but a top speed of more than 100mph for one or more models is suggested. With £85 million already spent on restoring two hangars at Hullavington, Dyson's investment in the site will reach £200m once work is completed, with a further £550m of investment planned once the facility is up and running. Handling, rural and off-road courses are confirmed, as is a skid pan and a high-speed runway for testing at more than 100mph. The company also recently trademarked the terminology ‘Digital Motor’ for automotive use. Previously used only on its household products, the Digital Motor moniker describes a brushless permanent-magnet synchronous motor – the same type found in many electric vehicles currently on the market. The trademark, filed recently for the European market, applies to both cars and non-road-going machines, although the use of the trademark in an automotive context is a first for the company. Dyson's first car is due next year and the brand also wants to grow its EV programme workforce by 300 people in a bid to ramp up the pace of development before the vehicle reaches the market. Dyson, a leader in vacuum cleaners and hand dryers, already has 400 employees focused on the project, but is now "looking to fill an additional 300 automotive vacancies" as it moves into Hullavington, a 750-acre campus that will be Dyson’s second research and development site in Britain. The EV project has been working to produce three models for more than three years. Its first will be a low-volume car produced in fewer than 10,000 units. Company founder Sir James Dyson said this model will carry a premium price tag but will not be a sports car (see below for more details on this model). Dyson will use this low-volume first model's development and production period to establish relationships with suppliers so that when it focuses on future models, which will include mass-produced cars, it will already be an established manufacturer. 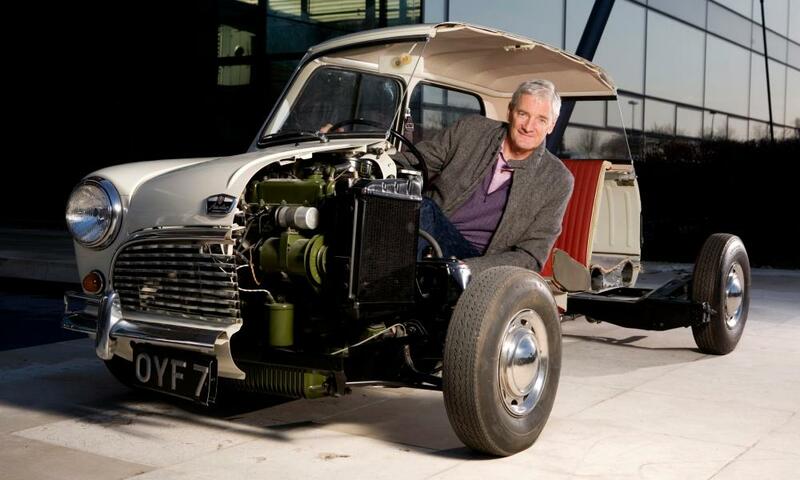 The British company plans to produce two mass-produced EV models after the low-volume debutant. If all goes well, the brand intends to continue developing EVs in the future. Dyson is working to produce its cars with solid state battery technology. This advanced battery chemistry, which uses higher energy density cells that are quicker to charge and store more energy than current liquid cells, is predicted to make it to market in time for the brand's second car, possibly at the start of the next decade. This would place Dyson at the front of the race to bring solid state batteries to market. Of the existing car makers, Toyota has been most vocal about its plans to introduce the technology in the coming decade. A BMW spokesman recently claimed that the company is also making good progress, while Porsche has hinted that solid state EVs are in its product plans. Dyson's solid state development appeared to have taken a hit when its battery expert, Ann Marie Sastry, left the company in late 2017. Dyson told Autocar at the time that it doesn't "get into specifics on personnel matters" when questioned on the matter. The brand is also investing in artificial intelligence along with a long list of other cutting-edge digital technologies, including robotics and machine learning. Although not officially linked to its car programme, this suggests Dyson will be well placed to integrate autonomous technology that can 'learn' into its earliest vehicles. The first car's development is being funded by £2.5bn in investment from Dyson and the project has received support from the British government. Dyson is keeping details such as performance and range secret, but the first model won't be a mass-market car like the Renault Zoe and Nissan Leaf; instead, it will be aimed at a more tech-oriented market. Dyson's existing household goods tend to be more expensive than the competition, suggesting that the EV's market position will be firmly in the premium segment, similar to that of Tesla. Dyson has a large market presence in the Far East, so Chinese production isn't an unrealistic prediction, although the car is being developed in the UK. In the announcement of the EV plan, Sir James took swipes at governments' push for diesels and the Dieselgate emissions scandal. "Governments around the world have encouraged the adoption of oxymoronically designated ‘clean diesel’ engines through subsidies and grants," he said. "Major auto manufacturers have circumvented and duped clean air regulations. As a result, developed and developing cities are full of smog-belching cars, lorries and buses. It is a problem that others are ignoring." He revealed that a major aim is to reduce air pollution from cars "at the source", saying: "I committed the company to develop new battery technologies. I believed that electrically powered vehicles would solve the vehicle pollution problem. Dyson carried on innovating. At this moment, we finally have the opportunity to bring all our technologies together into a single product. The EV will be Dyson-badged, unlike Google's Waymo project and Apple's autonomous car efforts that focus on components for other cars. Dyson is not planning to seek help from other manufacturers to bring the car to production. Last edited by witchcraftz; 10-23-2018 at 09:49 AM. Can't wait to see all of the pre-existing technologies that they re-name in their typical hoaxy fashion. Lol.